While some of us are happy with a dollar pizza slice or hot dog, some among us will admit to splurging on a nice restaurant on occasion, while certain discerning foodies opt to indulge in costly fine dining on a regular basis. A special breed brave the world’s most luxurious and priciest of venues, which make relatively common or garden splurges look like fastfood in comparison. These restaurants are expensive, but, with their prime locations and impressive offerings – as well as their celebrity-status chefs – those prepared to shell out the cash tend to report that they got their money's worth. Many of the following restaurants are famous for their exclusivity, exotic locations, rare foods, and unique atmospheres. These hot spots offer more than meals; they offer once-in-a-lifetime dining “experiences.” Many of these restaurants draw much of their prestige because they have been awarded Michelin stars. The Michelin Guide is a series of annual reference books that have been published by the French company Michelin for more than one hundred years and The Michelin Red Guide, the oldest and best-known reference guide, awards stars for excellence to very select dining establishments. The acquisition or loss of a star can have a dramatic effect on the success - and prices - of a restaurant. Indeed, the fact that the world’s fanciest and priciest restaurants continue to become fancier and pricier suggests that foodie culture reveres indulgence and rewards exclusivity and prestige. While some would argue that it's exactly these features which contribute to the excitement of any dining experience, it's perhaps disappointing to those on a modest budget that international calibre, high quality dining isn't a little more accessible. But the most expensive restaurants in the world continue to become less and less accessible, as the chefs and restaurateurs alike perfect their visions, and more and more restaurants dedicated to costly, specialized culinary endeavors continue to make waves all throughout the globe. Some say a good meal is priceless, but these opulent hot spots suggest that the experience can certainly be lucratively monetised. For those of who can only dream about dining at one of these institutions, or for those who are looking for an extra special dinner recommendation, read on to learn the details of the world's 10 most expensive restaurants. Masa, located in New York City’s Time Warner Center, is an experience as much as it is a meal. Chef Masa Takayama advises diners to dress comfortably to allow for a three hour (!) multi-course culinary event. There is no set menu; customers are seated and presented with a series of fresh dishes straight from the kitchen. The atmosphere is incredibly calming, potentially to quell the shock you might feel upon seeing the $350 per person bill – not including tax or tip. Or drinks, for that matter; indeed, one can splurge on a $400 carafe of Kikuhime sake, or a $1,500 bottle of 1995 Chateau Margaux Bordeaux. This restaurant features French food with a Japanese twist; as the website explains, the cuisine “harmonize[s] French spirit and Japanese culture.” The restaurant is located in a former teahouse in central Kyoto, and has been serving kaiseki-style French cuisine since 1981. The eight-course seasonal menu will set you back at least around $162. A fancier version of this multi-course experience costs $270 with tax, and must be ordered at least five days in advance! Some of the mouth watering and pricey dishes include beef filet with potato soufflés, buttered French beans, and roasted pumpkin. For dessert, there are many delicious options including a chocolate marquise with berries in pistachio cream sauce. The space also features a number of private rooms for events or simply a specialized dining experience. This trendy restaurant is located in the heart of the Bois de Boulogne park in Paris, France. The dishes start at around $85, and desserts at $43, but diners would be hard-pressed to find an a la carte special under around $130. For $255 including tax and service, one can enjoy a seven-course meal. For a summer bargain, the restaurant offers a five-course meal for (only!) $199 a person. Some of these pricey dishes include prawn ravioli in olive oil broth, or veal paired with cinnamon-scented puree. Diners have also raved about the excellent bread and wine, important staples for any French restaurant – and for life. Beige sits at the top of the Chanel building in Tokyo’s Ginza neighborhood. 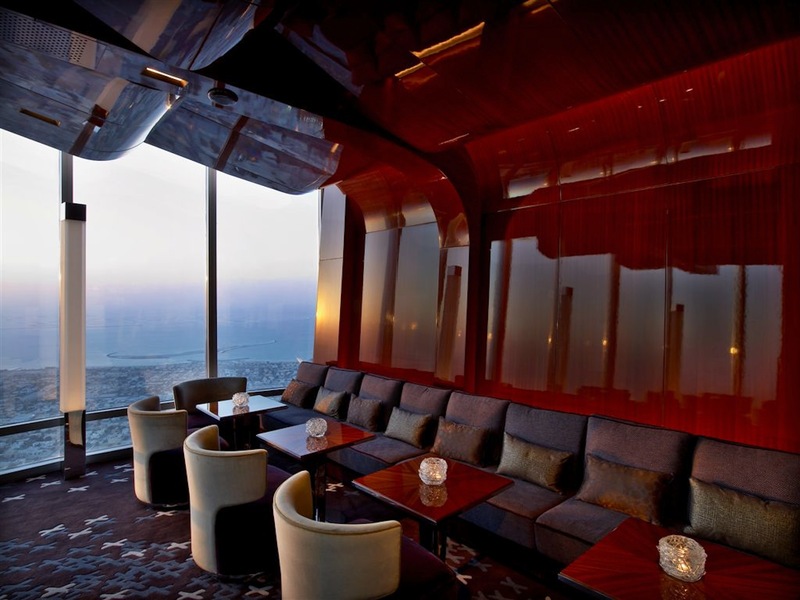 The restaurant is yet another outpost of famed chef Alain Ducasse, who was recently bestowed a lifetime achievement award at the 2013 World’s 50 Best Restaurants. Ducasse’s restaurants, cooking schools, cookbooks and consulting activities had revenues of around $15 million in 2002, and are sure to have increased in the proceeding years! Beige offers French cuisine with seasonal Japanese ingredients. Features include a $259 cep and matsutake mushroom menu, or a three-or-four-course dinner for $147 or $190, respectively. When you’re done, you get a chocolate in the shape of a Chanel button. For around $25, of course. Gordon Ramsay is a well-known chef, restaurateur, and television personality. You may recognize the Scottish chef from popular shows Ramsay’s Kitchen Nightmares or Hell’s Kitchen. Ramsay’s restaurants are extremely prestigious; indeed, his signature restaurant, Restaurant Gordon Ramsay, in the Chelsea neighborhood of London has held 3 Michelin stars (that’s a big deal in the restaurant biz) since 2001. Their seasonal specials menu includes a series of courses for 185 GDP, which is around $320 USD. Then, of course, there’s an added 12.5% gratuity, making the total closer to $355! There’s also an 11,000 GDP bottle of red wine – around $18,850 – available (in case you’re wondering, it’s a 1900 Chateau Margaux 1er cru classé). The food is supposed to be delicious, but you may have to live off of noodles for the rest of the month. This restaurant has recently received 3 Michelin stars, and has been part of a nearly 40-year succession of legendary chefs. The restaurant offers a full “sensory experience,” and has received enormous praise from both professional rankings and customer reviews. In 2013, Chef Benoit Violier was voted chef of the year in Switzerland, earning 19/20 in the prestigious French restaurant guide Gault Millau. Some dishes include white catfish saint-gilles-croix-de-vie cooked with lemongrass, summer roasted mushrooms, and red fruit soufflé. A set meal offers multiple courses, but costs $415. Forbes rated Aragawa the world’s most expensive restaurant in 2006, and while we don't rank it number 1 now, it's still in the world's top 5. Located at the end of a long hallway in the basement of an office building in the Shinbashi business area of Tokyo, it only seats 22 people. This restaurant’s particularly subtle location and limited seating is testament to its exclusivity. It's known for the absolute best Kobe beef in the world. Other delicacies include charcoal-broiled Sanda Beefsteak or a single whole salmon smoked fresh every week. Sanda Beef is a particular specialty, since the animal must meet very specific criteria – “prize cattle” only – to be selected and designated as Sanda beef. The broiling process includes ten separate stages! Not including beverages, the prix fixe menu will put you out around $341 per person, but this special dining is worth it if you can spare the change. As it is a property of award winning chef and restaurateur Alain Ducasse, it's no surprise this luxurious, Versailles-inspired restaurant makes the list. The room is decorated with Crystal chandeliers, bronze, and marble, and overlooks the Jardin des Tuileries. For a cool $524, one can taste three specialties plus a selection of cheeses and desserts. Not including drinks, of course, which can round up another couple hundred dollars. Some specialties include Guinea fowl pie (only about $156), lobster with potatoes, veal sweetbreads, and decadent selections of fruit and chocolate. This exotic restaurant was rated “the most beautiful restaurant in the world” by the New York Daily News in 2014. Ithaa sits five meters below the Indian Ocean’s surface, and offers an 180 degree panoramic view of the coral gardens by which it is surrounded. (Ithaa means ‘mother of pearl’ in the Maldivian language of Dihevi). The restaurant serves European cuisine in a six-course set dinner menu, starting at no less than $320 per person without drinks or tips. The menu includes such indulgences as reef fish caviar and Black Angus beef tenderloin. Children are allowed at lunch, but not at dinner; they request a “smart” dress code, of course. This exotic restaurant is another truly unique experience – but it comes with a price tag that typically comes in at $500 per person, if you make modest menu choices. The world’s most expensive restaurant, Sublimotion – described by head chef Paco Rancero as “radically different” – is located on an island typically better known for partying than Michelin-starred chefs and expert culinary experiences. However, this restaurant is adding a touch of undeniable class to the party island. Sublimotion is in the Hard Rock Hotel in Playa de Bossa, allowing only 12 patrons in the restaurant at a time (making it seriously exclusive). The 20-course “gastro-sensory” meal is intended to “elicit an emotional experience.” - an experience which may or may not include crying upon receiving the $2000 check. But this really is a once in a lifetime meal: Technology, psychology, design and - of course - world class food all come together to make this a unique dining adventure (with the price tag of a full adventure holiday). Everything up to the humidity of the “microenvironment” is adjusted as you eat and experience the meal.